It’s a simple idea: Take care of your carpet and it will take care of you. Not only does it look great and offer health and safety benefits, properly maintained carpet offers a host of savings opportunities. Research proves that over time, no other flooring option offers you as much chance to clean up. Carpet is cost effective. In fact, it can be 65 percent less expensive to maintain than hard surface flooring. While buying and installing hard surface flooring appears less expensive than carpet in the short run, the true cost of labor, supplies, and equipment over an average 22-year lifespan makes carpet a more cost-effective choice. Hard surface floors require 2 1/2 times more cleaning than carpet annually, increasing maintenance time and impacting limited human resources. Hard surface cleaning supplies are also nearly seven times more expensive than carpet cleaning supplies. To preserve the life of your carpet, clean it with supplies that have the CRI Seal of Approval. CRI created the Seal of Approval program to help customers identify carpet cleaning products that clean effectively without harming the carpet. For a list of these products, click on Seal of Approval at carpet-rug.org. The CRI Seal of Approval is especially important because independent testing shows that many cleaning detergents and spot removers clean no better than water. Worse, they can leave a sticky residue that attracts soil at a faster rate. There are also big differences in the soil removal capability among vacuums and extractors. Vacuuming is the single most effective means of keeping carpet clean; 90 to 95% of all dry soil by weight can be removed from carpet by following a routine schedule. 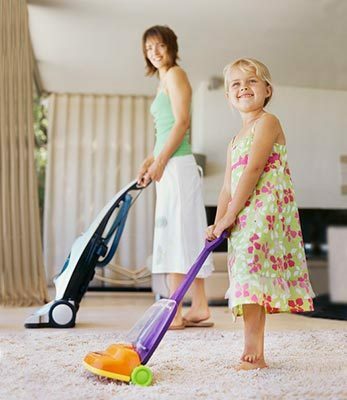 Choose vacuums that bear the CRI Seal of Approval for assurance of effective soil removal and good air quality. Carpet also requires periodic deep extraction cleaning. Seal of Approval deep cleaning extractors and systems (equipment and solutions) effectively remove soil and also recover most of the water or solution from the carpet.